Cabin occupancy of 6-8. 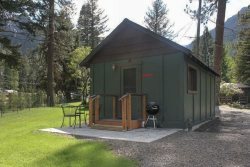 2-3 bedrooms cabins with at least 3 beds. Additional sleeping on hida-beds or day beds.